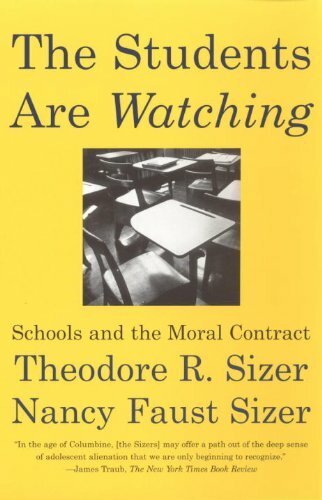 Students learn not just from their classe but from their school's routines and rituals, especially about matters of character, Theodore and Nancy Sizer insist in this groundbreaking book. They convince us once again of what we may have forgotten: We need to create schools that constantly demonstrate a belief in their students. In such schools, children will not only meet important academic goals, but also acquire good intellectual habits and develop their own moral agency. Only then will students go on to make wise and principled decisions--even when their teachers are no longer watching. Theodore R. Sizer is the founder and chairman emeritus of the Coalition of Essential Schools, a national network of schools and centers engaged in restructuring and redesigning schools. University Professor Emeritus at Brown University and Visiting Professor of Education at Harvard University and Brandeis University, he is the author of many books, including "Horace's Compromise: The Dilemma of the American High School."